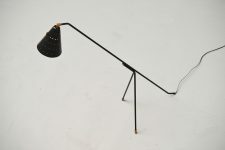 Very nice and subtle floor lamp designed by Svend Aage Holm-Sorensen for Holm Sørensen & Co, Denmark 1950. 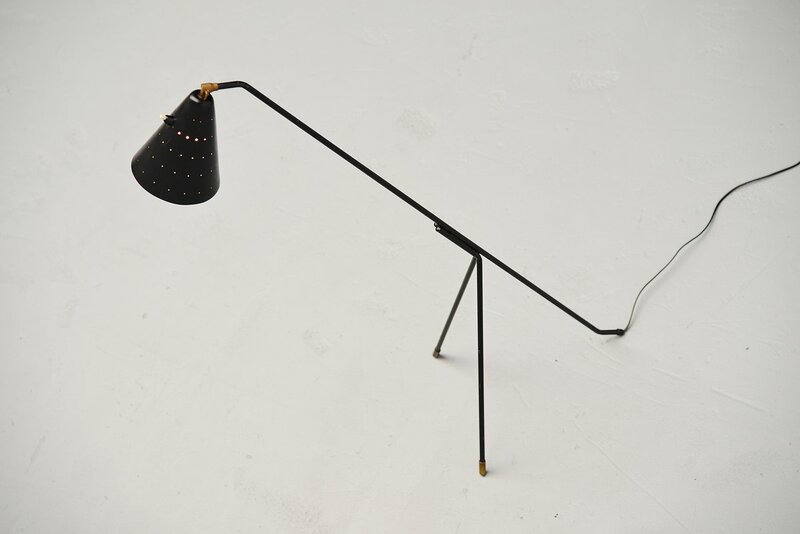 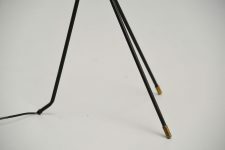 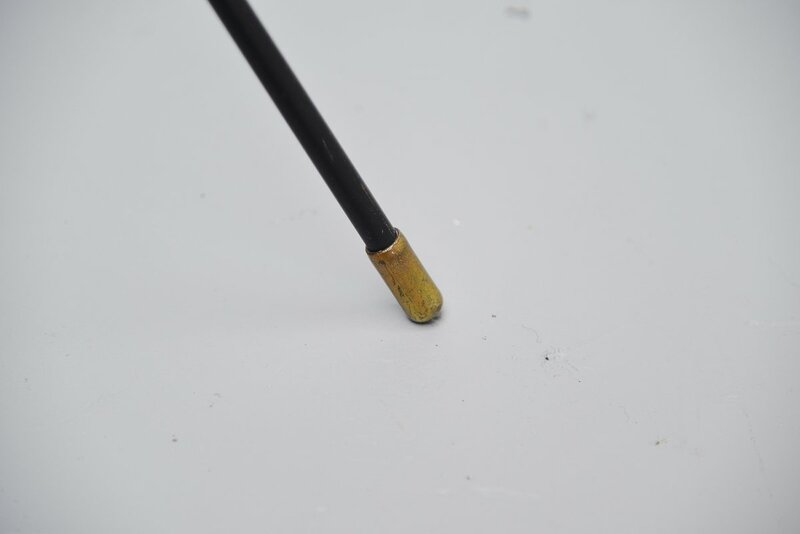 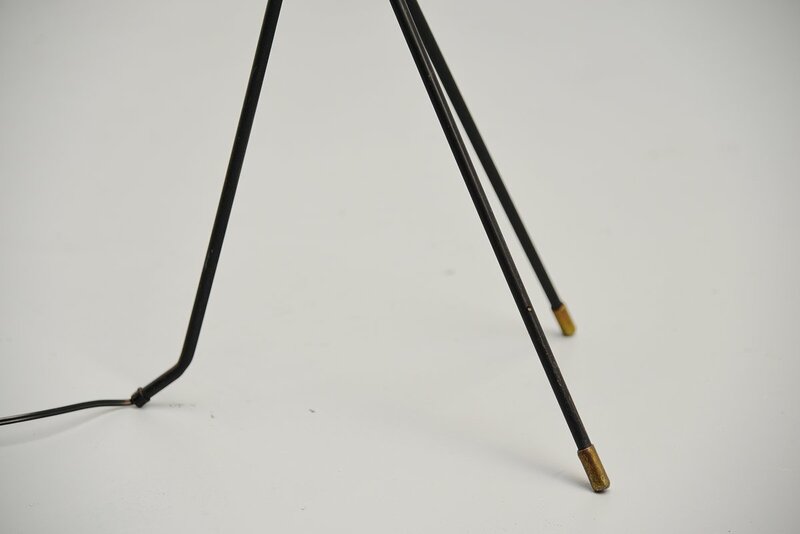 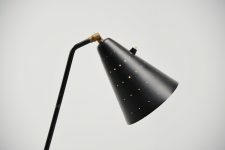 This is for a black lacquered version, nice shade with a die cut dot pattern for nice light effect, adjustable shade with brass joint and the small feet are also in brass. 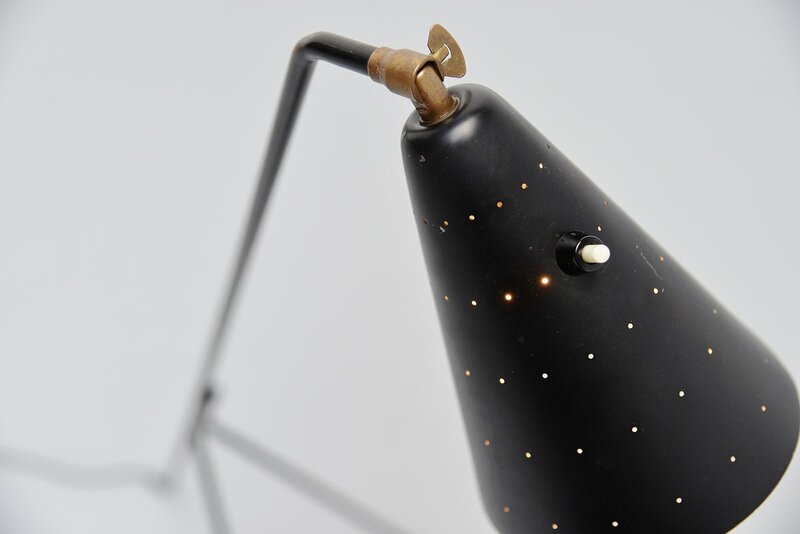 Lamp is in good original condition and its functioning. 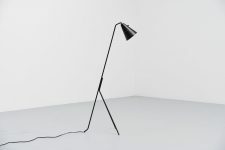 Nice to use as a reading lamp.